As summer enters full bloom it has become apparent that this home is surrounded by beautiful and nourishing items. 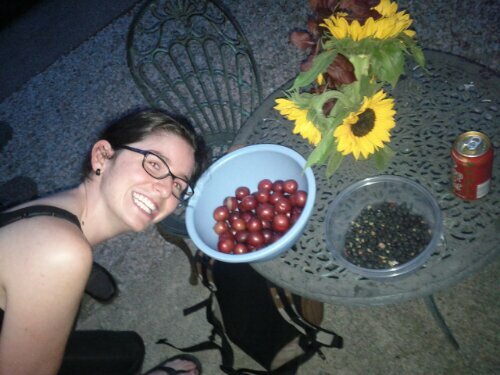 This entry was posted in Community and tagged plums, salal berries, Shannon. Bookmark the permalink. Plums! Raspberries! Crabapples! Blackberries! Salal berries! ‘Those Saskatchewan Berries’! All within 132 paces of our front gate, all free!